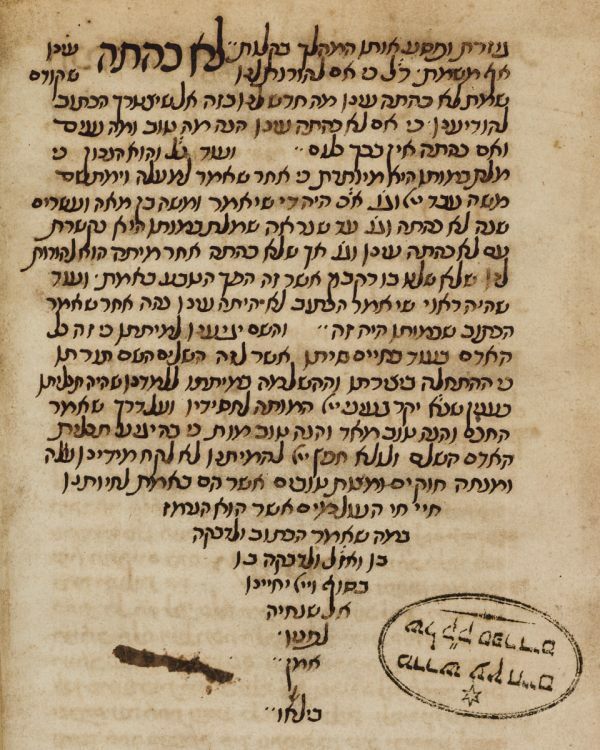 Supercommentary on the commentary of Solomon ben Isaac (Rashi) on the Pentateuch, by Eliyah ben Abraham Mizrahi (rabbi of Constantinople d. 1525), 17th century copy. The text is an abridged version of the ed. Venice, 1545. Hebrew / Paper / 19,7 x 14,4 cm. /  ff. / Neat Sephardic cursive writing / No titlepage.